This July marks the 10 year anniversary of the PumpTalk blog. Ten years of posts about gas prices, fuel efficiency and the occasional layered sandwich! We started this blog because we heard that our guests wanted to have a better understanding of how gas prices were set. So we set out to help explain why gas prices sometime fluctuate, the impact of supply and demand and the price differences across Canada. Ten years later, the conversation has changed. Although gas prices are still relevant to our guests, many also want to talk about the responsible development and use of Canada’s natural resources. So with that in mind, we have updated our blog to better reflect the today’s dialogue. Here on PumpTalk, you’ll continue to see posts about the price at the pump and fun car facts, but you’ll also see more about fuel efficiency and how we can all use our products responsibly. 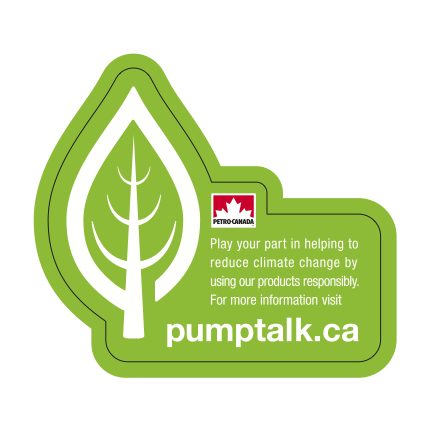 To help us spread the word, we’ve updated our old pump stickers, to give them a new look and to reflect the updated focus of PumpTalk. Above is preview of the new sticker you’ll be seeing on your pump.